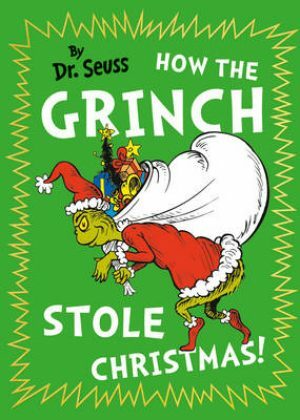 With wacky rhymes and zany artwork, it tells the tale of the disgruntled Grinch and his fiendish attempts to steal Christmas from the citizens of Who-ville! Perfect for gifting or as a stocking-filler. The Grinch hated Christmas! The whole Christmas season! Now, please don’t ask why. No one quite knows the reason… With a heart two sizes too small, the Grinch is the meanest creature you’ll ever meet. He hates Christmas and the whole festive season. But when he hatches a dastardly plot to steal Christmas, he’s in for a big surprise!